Global hunger for soybeans 'destroying Brazil's Cerrado savanna' The Cerrado savanna is an area in Brazil the same size as Western Europe. It's one of the most biodiverse places in world - 40% of animal and plant species there can be..
Popocatépetl volcano: Mexico hit by 24 hours of volcanic earthquakes and exhalations MEXICO'S Popocatépetl volcano erupted on Tuesday and has since seen 24 hours of earthquakes and exhalations rumbling throughout the area, prompting a phase..
A recent study of more than 100 years of river level records from the Amazon shows a significant increase in frequency and severity of floods. The scientists' analysis of the potential causes could contribute to more accurate flood prediction for the..
All recent earthquakes » Earthquakes over 3.0 M within the last 24 hours +-..
CALIFORNIA’s San Andreas fault line is a hotbed of earthquake activity in the United States but is the fault line at risk of an impending major earthquake? By SEBASTIAN KETTLEY PUBLISHED: 11:55, Wed, Jun 20, 2018..
With its red-hot rivers of lava and clouds of ash, Hawaii's Kilauea volcano has captured the world's attention. But how dangerous are such eruptions?.. 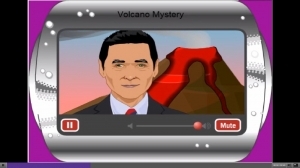 Where is the Kilauea volcano? Kilauea is the biggest and most active of the island’s five volcanoes and is one of the most active volcanoes in the world. Located on the southern shore of Hawaii’s "Big Island" Kilauea has been..
Record levels of microplastics have been found trapped inside sea ice floating in the Arctic. Ice cores gathered across the Arctic Ocean reveal microplastics at concentrations two to three times higher than previously recorded. As sea ice melts with..
With Easter fast approaching, the thought of chocolate is probably on all our minds, but could the UK's love of chocolate be having a damaging effect on the environment? A recent study by researchers at The University of Manchester and published..
Something extraordinary is happening in South Africa. The warm, dry climate that has shaped this beautiful country into such a popular tourist destination also makes water a particularly precious resource. Driven by the global problem of climate..
ONS predicts 54% of growth in next decade will be from net international migration and 46% from more births than death. Demographers project that the population will rise by 3.6 million, or 5.5%, over the next 10..
A swarm of more than 200 earthquakes struck Yellowstone National Park over the past two weeks, but that probably doesn't mean the "big one" is coming anytime soon, according to geologists from the park. The 200 temblors began on Feb. 8 and..
A brutal cold snap has dug its claws deep into Europe, with icy winds from Siberia blowing across the continent. The “Beast from the East” dropped a rare two to four inches of snow on the Eternal City on Monday. On Monday morning.. The Seychelles has created protected areas "the size of Great Britain" in the Indian Ocean. In exchange for getting some of its national debt paid off, the island nation has agreed to protect 210,000 sq km (81,000 sq miles) of ocean. The..
A new dam on the Nile could trigger a war over water - unless Ethiopia can agree a deal with Egypt and Sudan. An earthquake which shook parts of the UK on Saturday was the biggest for a decade, experts said. The British Geological Survey (BGS) said the epicentre was 20km (12 miles) north of Swansea, with a 4.4 magnitude at a depth of 7.4km (4.6m). 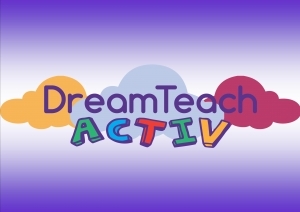 DreamTeach Activ is a pupil work site with over 200 tasks and 5000 self marking questions. 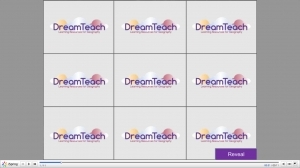 It is free for existing DreamTeach subscribers and replicates the package you have in school. Have a look at the movie for more information. This presentation provides a variety of information and tasks for you to tailor to your lesson. This presentation looks at the Winter Olympics and the host. There is a quiz at the end. The anagram resources act as an excellent starter. Pupils need to guess the countries that have hosted the winter Olympics. These resources provide a lesson starter activity which gets pupils using their thinking skills from the beginning of the lesson. There is an image hidden under the grid, and by clicking one of the squares, that small section is revealed. Pupils can.. This presentation focuses on the recent typhoon that struck the Philippines. It discusses the causes and effects of the typhoon. 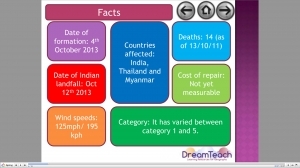 This presentation looks at the causes and effects of the Indian cyclone. This presentation looks at the causes and effects of the Balochistan earthquake in Pakistan in September 2013. 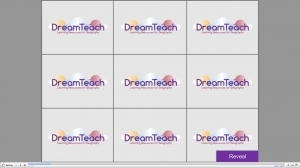 See how the DreamTeach and DreamTeach Activ resources can help you to deliver a great leeson. A general resource to help pupils reflect upon some of the Geographical events around the world in the summer of 2013. Another picture reveal to introduce Hurricane Sandy. This image shows the power cuts across the city of New York. This picture reveal is a boat sunk by Hurricane Sandy. It is the boat built for the film Mutiny On The Bounty and later used in the Pirates Of The Caribbean films. This presentation focuses on the cause and effects of Hurricane Sandy in the USA and the Caribbean. This presentation gets pupils thinking about the impacts of the Olympics on the UK and the lasting legacy it will leave.